WELCOME TO MAGOO'S PIZZA, THE NEWEST, "FAST CASUAL" RESTAURANT IN DUBUQUE. Our gourmet ingredients are garden fresh; our dough is handcrafted. The pizzas and salads are rich in flavor, great in texture. Designed for efficiency, we use an assembly – line process, where, as you move down the counter, the thin-crust pizza is made right before your eyes. Once you choose your sauce, cheeses and other toppings, have fun observing. When your pie reaches the Pizza Chef, it will be inserted into the Wood Stone Oven, where, it is cooked at a temperature of at least 650 degrees. With this high flame, the pizza is ready within three to five minutes. By the way, individual salads are created in this same fashion. (Without the hot oven, of course). 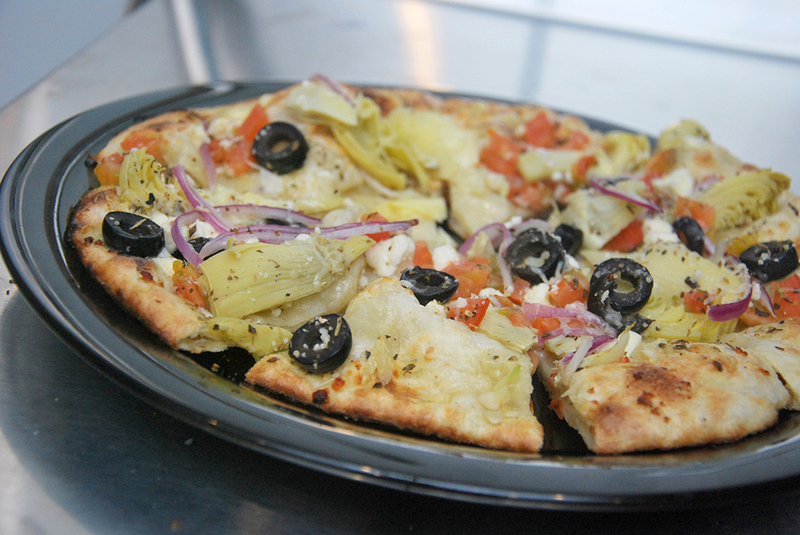 If you would prefer not to design your own meal, choose from one of our well-balanced pizza or salad creations. For those with a taste for sweets, don’t forget to try our amazing brownie bites and chocolate chip cookies…the perfect way to complete your dinner at Magoo’s. Among the beverage selections will be craft micro brews and a variety of wines. We trust you will enjoy this fine array of thirst quenchers. A great space to gather, Magoo’s offers an original, retro style décor. Distinctive, yet relaxed, our goal is become the top neighborhood eatery around town. We take great pride in our dedicated Crew and phenomenal Chefs. We challenge ourselves daily to provide the best customer service possible. All of us at Magoo’s Pizza look forward to your visit this coming year!